A subway mugger fell to his death today after running from the police on an E-train subway platform at the World Trade Center stop. The suspect was a man in his 20’s who had allegedly robbed another passenger of $150 at knifepoint early Thursday morning. While fleeing between cars, the man had purportedly fell onto the tracks. The victim had called 911 and asked officers to meet him at the World Trade Center stop. 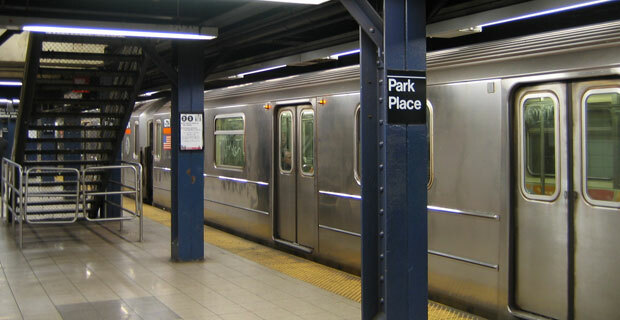 While under chase by the NYPD, the mugger fell onto the tracks and was hit by a northbound E-train, leaving the station. The mugger is believed to have been involved in another armed robbery yesterday near Pace University.Â Authorities have not released the identity of either victims.